LOCATION! LOCATION! Beautiful bright 3 bed 3 bath sub-penthouse suite at "Ocean Walk". Contemporary open layout featuring 9' ceilings, floor to ceiling windows, gourmet kitchen with granite countertops and sleek stainless steel appliances. Amenities include serene outdoor garden, exercise room, guest suite, party lounge and much more! 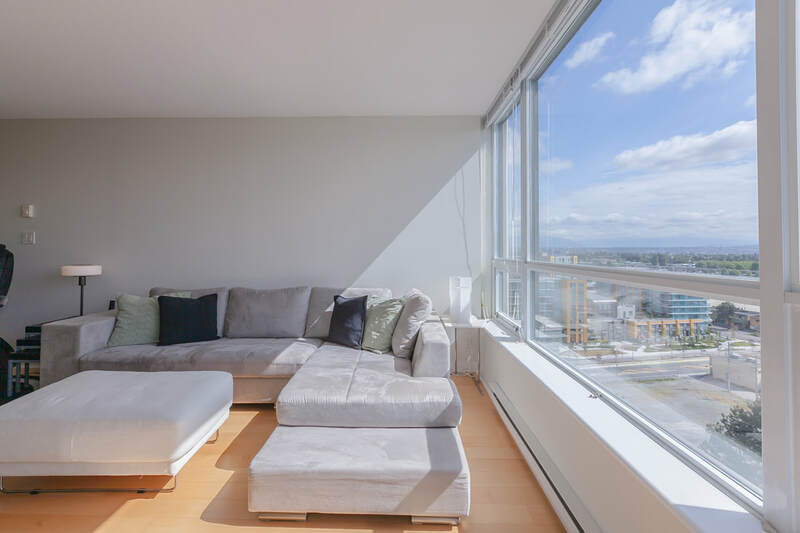 Just a short walk to Canada Line Skytrain Station, Richmond Centre, Olympic Oval, Minoru Park, Richmond Hospital as well as restaurants, schools and supermarkets! Great for growing families!